Congenital (existing at birth) and developmental kidney diseases are part of a group of diseases in which the kidney may be abnormal in its ability to function normally, or may be abnormal in appearance, or both. These diseases result from inherited or genetic problems or disease processes that affect the development and growth of the kidney before or shortly after birth. Most patients are less than five years of age at the time of diagnosis. 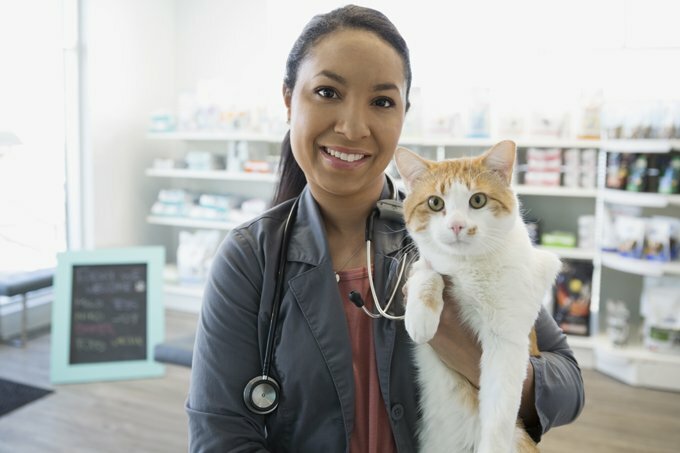 Your veterinarian will perform a thorough physical exam on your cat, taking into account the background history of symptoms and any possible incidents that might have led to this condition. You will need to give a thorough history of your cat’s health, onset of symptoms, and any information on your cat’s family history that you are familiar with. Your veterinarian will order a blood chemical profile, a complete blood count, an electrolyte panel, and a urinalysis. Abdominal x-rays, abdominal ultrasound and an excretory urography (x-ray of your cat urinating) will all be performed to identify and characterize the kidney disease your cat is suffering form. There are some direct genetic tests that are available for detection of specific genetic mutations associated with familial polycystic renal disease in Persian and Persian-derived breeds of cats. Treatment for patients suffering from kidney disorders is often supportive or symptomatic. Without a kidney transplant, there is no cure for developmental or congenital kidney disease. Cats with high blood pressure should be switched to a low salt diet, and cats with chronic kidney failure should have phosphorous restricted and protein intake moderately restricted. Your veterinarian will schedule follow-up appointments for your cat to monitor the progression of the kidney disease. Animals with developmental or congenital kidney disease should not be bred; neutering is highly advised under these conditions.